White House didn’t mention Jews in Holocaust statement because others “suffered” too. 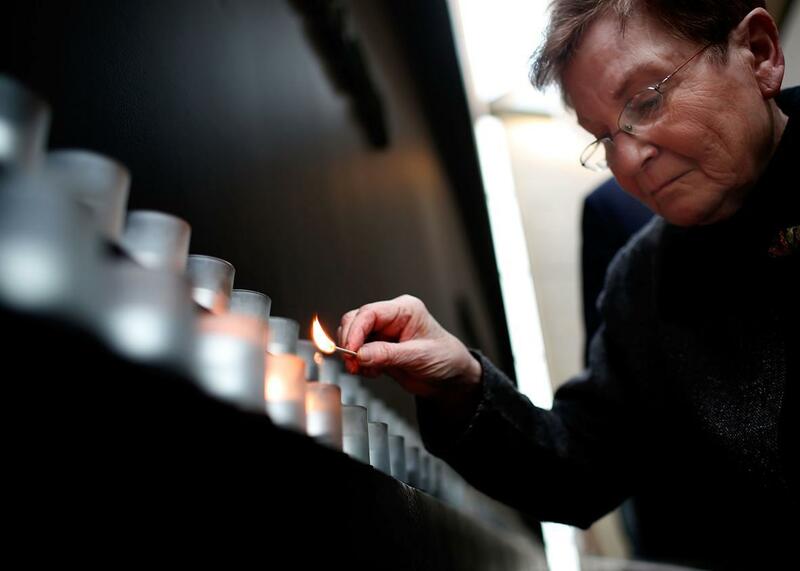 Holocaust survivor Josiane Traum lights a memorial candle during an commemoration at the United States Holocaust Memorial Museum on Friday in Washington. Many assumed that when the White House didn’t include a mention of Jews or anti-Semitism in its Holocaust Remembrance Day statement that it amounted to a mistake from a new administration. The Guardian, for example, noted that “the oversight by the White House comes as the Trump administration is still adjusting to the transition of power.” Not quite. Turns out, it was very much intentional. So, why did the White House fail to mention Jews in its Holocaust Remembrance Day statement? “Despite what the media reports, we are an incredibly inclusive group and we took into account all of those who suffered,” administration spokeswoman Hope Hicks told CNN. To support her jaw-dropping statement, Hicks apparently sent over a link to a Huffington Post UK story that talks about the 5 million people—including “gay people, priests, gypsies, people with mental or physical disabilities, communists, trade unionists, Jehovah’s Witnesses, anarchists, Poles and other Slavic peoples, and resistance fighters”—who were killed by the Nazis in addition to 6 million Jews. Hicks’ flabbergasting statement came a day after the head of the Anti-Defamation League said it was “puzzling and troubling” that the White House statement to mark Holocaust Memorial Day mentioned the “depravity and horror” inflicted on “innocent people” and made no mention of Jews specifically. That was a marked contrast to statements made by former presidents Barack Obama and George W. Bush.